Clients often ask us if there’s anything they need to do before we come fix a roof. So we’ve prepared a handy checklist with all the things you should do before we get started. You can also download and print a copy of the checklist to have for later. 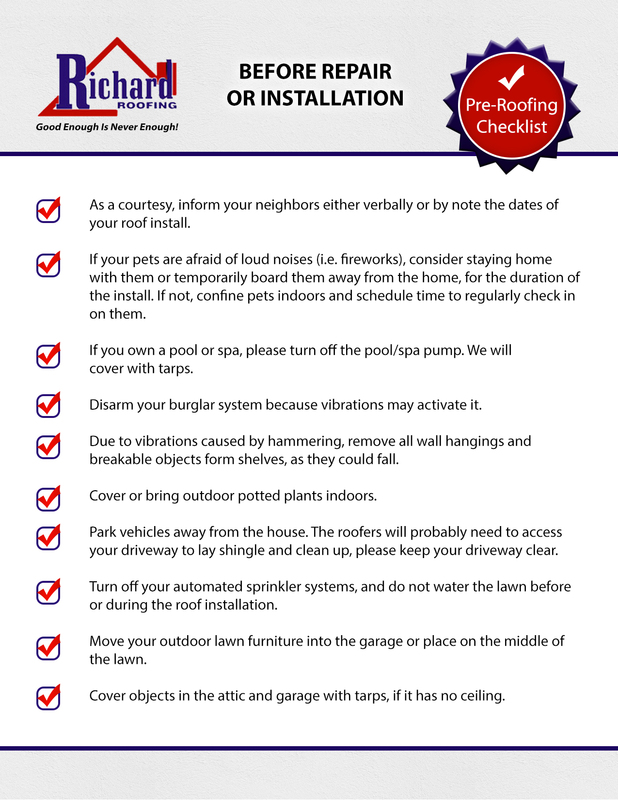 Contact us today for more information about your new roof!